131) This is a very unfortunate photo. Why? 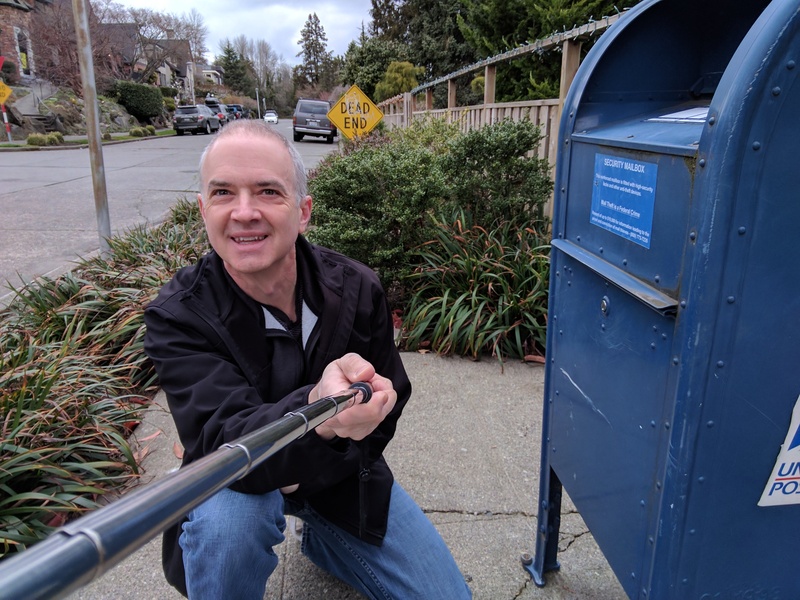 Because it completely hides the fact that Lake Washington is literally right behind this mailbox, close enough to serenade the box with sounds of lapping waves and tooting boats. But try as I might, I couldn’t get an angle that highlighted this watery proximity… so I just crouched down, got the shot, then ran away.